Lenz is not only credited for being the Original developer of the DCC protocol and first manufacturer to produce a NMRA approved DCC system, but through continued development and refinement of its products, Lenz has firmly established itself as a market leader. Thank you Mr Bernd Lenz..
Bernd Lenz, the brains behind the DCC system, and President of Lenz GmbH, was instrumental in designing DCC systems for Marklin and Arnold, LGB, ROCCO, ATLAS and BACHMANN. Lenz has two systems, the intermediate Set-90 and the advance Set-100. Both of these set provide the LZV100 combination command station and 5 amp power station. The difference between the two sets is the handheld cab. Set-90 has the LH90 cab and Ser-100 has the LH-100 cab. The LH-90 cab has a knob and the LH-100 uses push-buttons for speed control. The Lenz system can have up to 31 cabs on the XpressNet. Supports program track and on-the-fly programing. Lenz has a very unique wireless control. 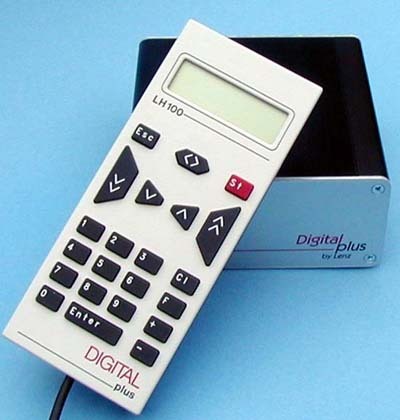 The XPA adapter plugs into the Lenz XpressNet on the LZV100 and then uses a standard wireless telephone as a remote control. 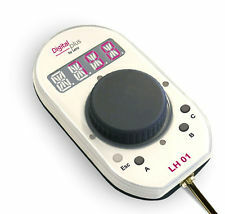 The LH100 handheld throttle is not only a easy to use throttle, but is a very powerful tool that allows you full access and control to/of all DCC devices on the network. While Lenz is not the “quickest” when it comes to launching new products, Lenz does command attention from the market, with many innovative technologies and products that have been “Industry firsts”, and in this regard, Lens is truly a market leader. The LZV100 houses a very intelligent and stable Train Controller! Lightweight and simple to use, the LH101 is one of the new throttles from Lenz- Forthcoming for years now, this is one area where Lenz can learn from other manufacturers. Lenz is one of the largest Decoder manufacturers in the world and supplies OEM decoders to all the top-end model railway companies. How can Lenz improve ? Make no mistake, your investment in Lenz, as DCC system of choice, will be well rewarded in terms of stability, reliability, functionality and standardization. ..there are however areas where Lenz can learn from the competition! It is not uncommon to find modellers commenting that Lenz products often seem to be missing that “wow” factor- this is especially evident whenever one of the competitors launch a new product, that make Lens seem so “yesterday”! and while the bells and whistles do not necessarily make a product better, it does create a feeling of desire for the purchaser- “what the eye sees, the heart desires” . While you would be hard-pressed to find “functional fault” with any of the Lenz products, the lack of direct marketing in countries outside of Europe (although Lenz USA has a sizable customer base), and a general shortage/availability of stock in many countries outside of Europe, is probably the single largest contributing factor that other manufacturers such as Digitrax , NCE and MRC have been able to successfully capture a sizeable portion of international DCC market share. That said, one should be careful to discredit Lenz. My personal opinion is that the Lenz in co-operation with the NMRA continues to play an important role as Gate-Keeper in ensuring that the DCC protocol is not butchered and thereby creating further incompatibility between different DCC systems– and lets not forget that without the intellectual property of Lenz, we probably will still be limited to running trains using complex DC wiring schemes! Strategically it is very difficult for Lenz to venture into new products, as the company takes great care to ensure full compliance with the NMRA standards. You may well ask yourself why Lenz takes so long to bring new products to market, especially when the competition (Digitrax, NCE, MRC, and others) have new throttles and command stations appearing almost every year. This is a topic for another article, suffice to say the answer is both simple and complex ! Lenz has gone to great lengths to ensure that their systems and products carry the DCC NMRA Conformance seal, and therefore railroad modellers from all over the world have come to rely on the fact that “things just work”, even if there are a few less “nice to haves”. You can read this Article on how a Lenz Command Controller can be used with Digitrax Booster. 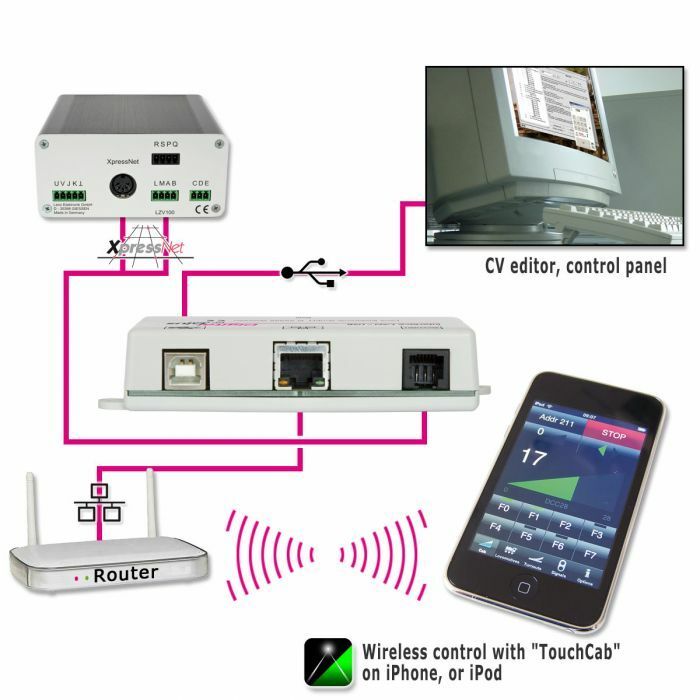 Compatibility with other DCC Systems is largely dependent on how the “other” systems play the game. The Good news is that most manufacturers of DCC components/products/accessories have shown that they want to ensure their products are inter-operable with the NMRA standards, and this means that the consumer is spoilt for choice.